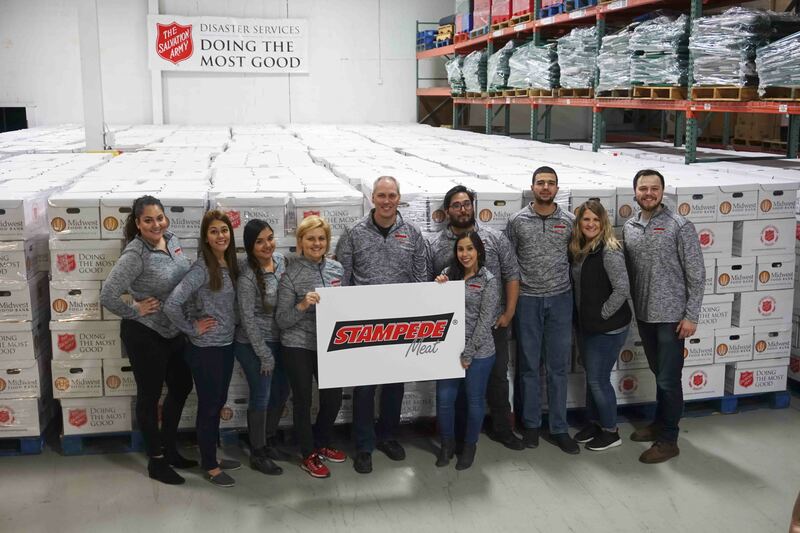 Our Latest – Page 2 – Stampede Meat, Inc.
Pictured above are ten Stampede Team members volunteering at The Salvation Army pack off event. Stampede Meat HR Generalist Monika Farfan handing donation items to Stampede Cares committee member Ana Adan. 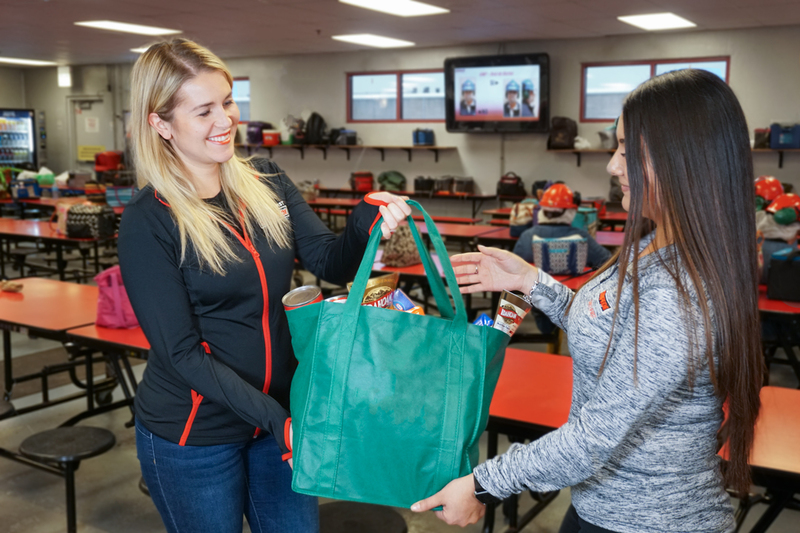 ‘Tis the season of giving, and Stampede Meat is participating with events to continue their efforts in giving back to the community. Photograph from Stampede Meat’s recent R&D ideation session. When one thinks of bacon the common thought is “Well, doesn’t everything taste better with bacon?” And so is the case for the uncured, unsmoked and non-sliced pork belly. 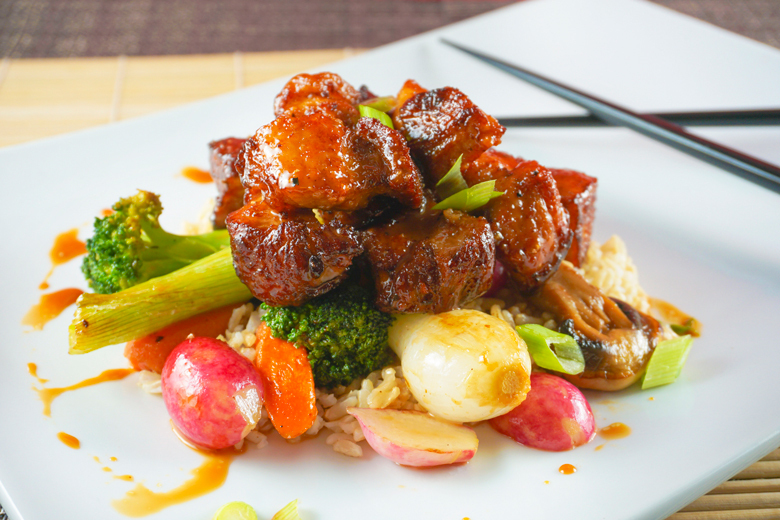 Whether it’s a savory bacon n’ eggs breakfast or a sweet chipotle honey pork belly glazed donut, pork belly and bacon are definitely two of a chef’s favorite ingredients when driving menu innovation and “New News” on their restaurant menus. Photograph from Stampede Meat’s Groundbreaking Ceremony held on July 13, 2018. 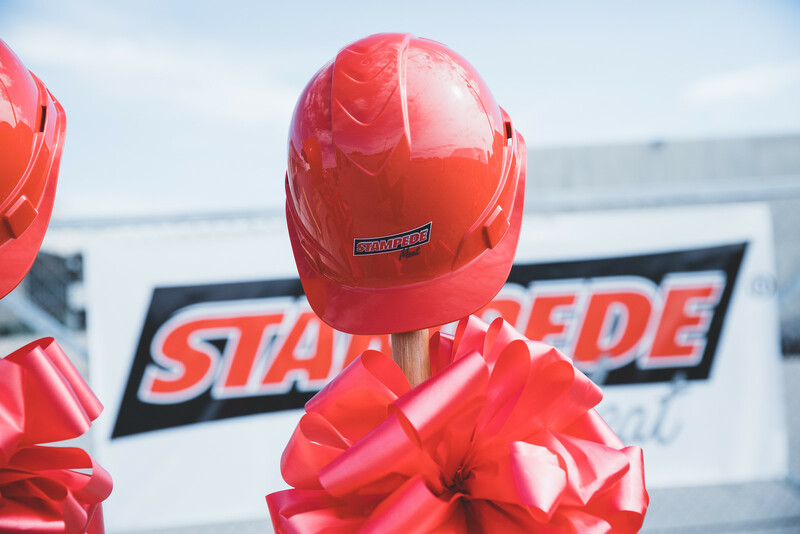 Stampede Meat, Inc.’s newest facility in Sunland Park, New Mexico is weeks away from opening for production. This expansion is driven by the company’s dynamic group of customers and their need for additional capacity and capabilities from their partnership with Stampede Meat. 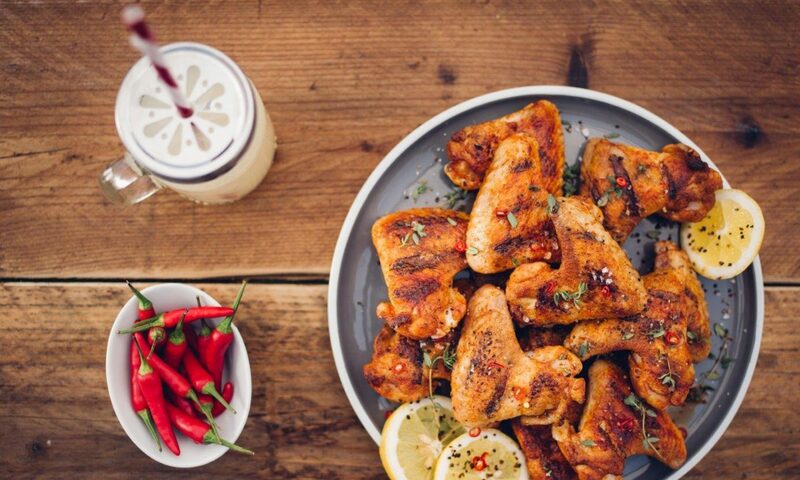 Stampede Meat operates as an extension of their customers’ strategy, and as their customers continue to grow and have success, so has Stampede’s commitment to proactively seek innovative and cost-efficient supply solutions to fully address their needs. As Stampede readies for the imminent startup of the facility we must stop and reflect on just how far we have come from where we began with this project just four short months ago.